G. Wetzel, Oil on canvas, Circa 1940, France. 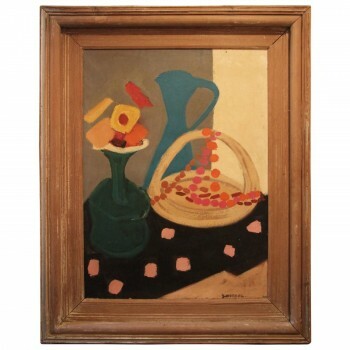 G. Wetzel, Oil on canvas, Natural pine frame, "Still Life with Blue Pot" Signed lower right, Circa 1940, France. Measures: Height: 95 cm, width: 75 cm, depth: 5 cm.